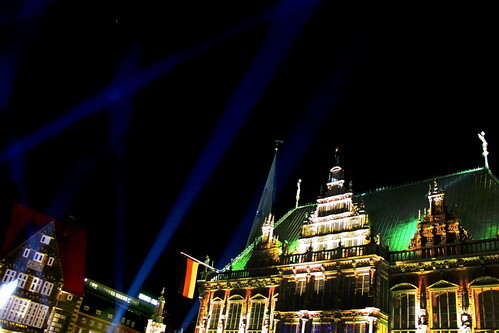 Some kind of midnight light attractions a week ago in Bremen was a good opportunity, a better one than just in the physics class, to remember that light beams are actually invisible, except when the beams get scattered by some particles or other objects. Hence the fog machines operating in the same space and time as the powerful headlights. Don't get me wrong, I love to get emails. In fact, as long as the emails are not nuked by the spam filter, I read each and every one of them. I might not give a response immediately, but I seldom skip an email. However, there are few types of e-mails that I wish I could just skip, thereby saving my and the everyone else's time. that starts with "Dear Sir/Madam". Nothing wrong with it of course. But if someone knows my email address, a little check with Google would reveal my gender and my full name. However, with that Sir/Madam thing, I cast a suspicion upon the content of the email (likely a spam anyway). that asks "how to download FooBar". Maybe s/he reads one of my articles or a post in my blog. But normally I always state the web site of that particularly interesting program so that people can try it. Usually I give her/him the benefit of doubt and send the first few links I find by googling (or lmgify-ing) on "download FooBar". that only says "I tried to do X and it did not work". Unless I have a crystal ball, how on earth could I possibly know the problems? Shall I forward this email to Uri Geller, or any of his successors, then? that requests suggestions for a (final) project. 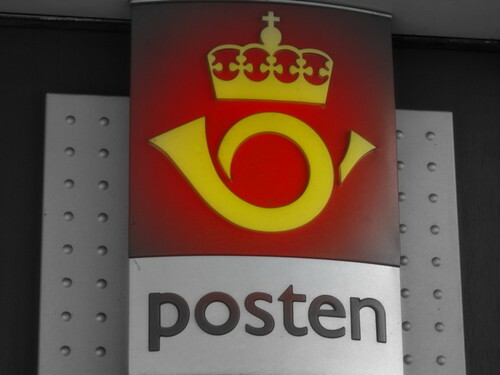 If I do not know the sender (what s/he's studying, what the interests are, etc), well what would I say then? I can mention anything, e.g. create a rocket that flies us to Jupiter, but that wastes more of our time. that ends with "Please help, it's urgent" or something similar. As much as I would like to help, I also have a life, and I have my own sets of problems, too. And so does everyone else. True, urgency requires a delicate handling but I am not in business of waving a magic hand. Beside, we are not in the kindergarten anymore, screaming does not make the solution comes faster. that asks for some architectural diagram of my example code. It's soooo "corporate". Seriously, do you expect me to fire up Rational Rose and draw colorful charts (flying arrows included) for a 300-lines example program? Some people fail to see that an example, just as the name implies, is meant to be taken as an example. that is closed with a very long signature. It's fine for the legalese purpose, but isn't it ironic when the mail signature is ridiculously long, sometimes up to 4x longer, than the content of the mail itself? And when the email is basically a set of some of the points above, the signature is like adding an insult (a terrible one even) to the injury. Do you ever get other types of annoyances like that? Finally it's out. 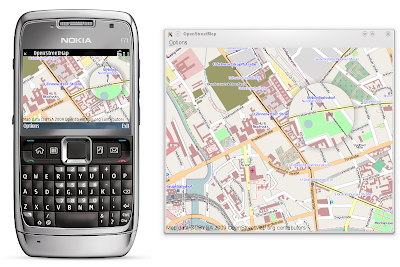 N900 is the first Linux-based 3G/HSPA phone from Nokia, powered by Maemo. There are already some high-quality awesome pictures of the phone, or just enjoy the following taken by my countryman who is working for Maemo. Or watch its 75-second promo video clip. Price is not set yet, but seems to be in the EUR 500 range. The geek side of you might want to glance at the specifications (and mark that OpenGL ES 2.0!). 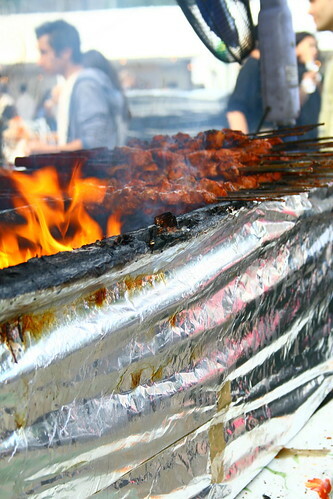 Just like last year, Oslo Mela Festival few days ago was something we did not miss, in particular because of the food. Today is our Independence Day. Merdeka!. I always wanted to help Marble, but I am guilty because until now I can't afford any time to play with it. All these years, I used to compile bleeding-edge Marble from time and time, use it, and basically that is it. Although since a long time ago I promised Torsten that I was willing to help Marble, actually only right after Gran Canaria Desktop Summit finally I devoted some time to study its code. The three of us, Torsten, Andrew and I also had a short but fascinating discussion during the summit. Now, I still don't manage to contribute anything to Marble yet, but I already have something in my pipeline. You will likely hear from me in the coming weeks, so stay tuned. Since I reckon I enter the wonderful territory of mapping world, I thought, well, let's familiarize myself a bit with the technology. I took a look at the interesting experimental Google Maps API v3 (which BTW does not require an API key). 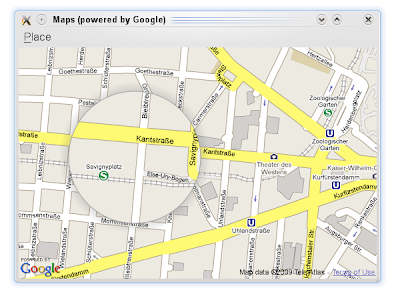 Using QtWebKit, I wrote a simple 300-lines example that shows a magnifying glass over the map (see the screencast). Of course, the area under is the zoomed version of the map. Since I am flirting with Qt for S60 these days, I thought about bringing that example to the phone. However, instead of relying on Google Maps, I decided to leave the dark side and jumped to use OpenStreetMap instead. The result is effectively an example of how to render the tiles from OpenStreetMap using Qt, which also runs on S60. It does even have the night-mode feature. This did happen in my last flight. I consider making it a quick math quiz for any candidate I have to interview in the future (to see whether it takes him 5 minutes or 5 hours to analyze). A few minutes after the captain announced that we were flying at forty thousand feet above the sea level, cruising at the speed of 900 km/h, through the window we saw another airplane flying at roughly the opposite direction, but at a slightly lower altitude. Of course, the obvious question was asked: How far is the other plane from us? This is better than the typical Fermi problem. Assuming that that airplane was visible in our 90 degrees field of view for 4 seconds and it flew just as fast as our plane, I did a quick calculation and came up with an answer, the flight trajectory of that plane was 1 km apart from ours. The other guy was impressed, but he was not convinced. Now, since my math skills are rusty, I am sure I missed a thing or two. Now, what is your take? (Picture rendered from Jarno's public-domain vectorized aircraft). Have you ever got a simple question from a non-techie person, like "What is Java"? That really makes my day.